The California water compromise reached by Sen. Dianne Feinstein, D-San Francisco, and House Majority Leader Kevin McCarthy, R-Bakersfield, and inserted into the massive infrastructure bill that was signed into law last week was trumpeted as a hard-fought victory for Central Valley agriculture. 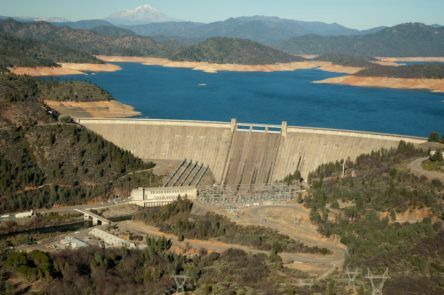 But the larger war over how California’s limited water resources are used seems far from over. The compromise’s approval is sure to spur new court battles. It could also embolden House Republicans like McCarthy and Devin Nunes, R-Tulare, and conservative think tanks to seek further changes in federal policies. Environmental groups are expected to sue over new rules which allow federal authorities in charge of water supplies in the Sacramento-San Joaquin Delta to deliver more water to farmers in periods of drought. The Endangered Species Act has been a potent weapon for environmental groups, which have often succeeded in getting judges to adopt broad interpretations of provisions that have been used to protect the delta smelt and Chinook salmon in Northern California waterways. This thinking is reflected in a lawsuit filed in March by green groups, which say even the strong environmental stances of federal and state regulators under Democratic President Barack Obama and Democratic Gov. Jerry Brown don’t go far enough in providing fresh water to the delta. Such tactics awaited George W. Bush after he became president in 2001. His administration was stymied in efforts to shift environmental policies by legal action and effective lobbying in Congress. By one tally, environmentalists won 27 of their 38 suits against the two-term president. But the same attitude seen in Natural Resource Defense Council lawsuits against Democratic administrations — why settle for a good result when more is possible? — could soon animate Republicans, especially those who have chafed at how much control the federal government has over land-use decisions in the West. Nunes in particular has long railed against federal indifference to the concerns and needs of Californians. The Washington consensus is that Feinstein cut a deal because of the fear that a Trump administration would go much further in revamping interpretations of existing water and endangered species laws. This led her to make a major concession to McCarthy: Allowing the secretary of commerce and the secretary of interior to play a key role in determining in how water is allocated between the Delta and farmers. That provision alone could turn California water policies upside down. Trump’s nominee for commerce secretary, billionaire investor Wilbur Ross, doesn’t have high-profile views on land-use issues. His nominee for interior secretary, Montana Rep. Ryan Zinke, is open to the federal government allowing much more of its land to be used for oil and gas drilling, but has spoken of the importance of preserving public lands. There is also the possibility that the Trump administration could target the Endangered Species Act itself — either through executive orders reinterpreting the law or by encouraging congressional action. Conservative think tanks have long faulted the species act for far more than denying water to Central Valley farmers. It’s viewed as the California Environmental Quality Act is seen by business groups and conservatives in the Golden State: as a blunt, coercive tool to win land-use battles. A 2007 report by the Dallas-based National Center for Policy Analysis offers a framework for the sort of policies the Trump administration could pursue. The most decisive — and most controversial — would simply be for the secretaries of commerce and the interior to make it more difficult to a species to be designated as endangered and easier for a species to be taken off the protected list, reducing the authority now wielded by the U.S. Fish and Wildlife Service. Conservatives have long argued that designations of 1,300-plus native species and plants are excessive and arbitrary.